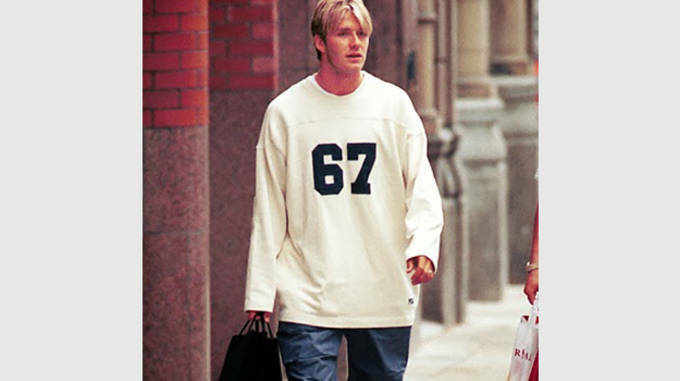 David Beckham is widely regarded as one of the most stylish men in sports, but it wasn’t always that way. 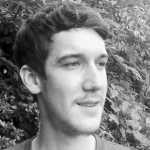 In the late ‘90s, he was right there with the rest of us wearing oversized tops and baggy jeans. But the worst part might be the bleached blonde hair, which looks straight out of an NSYNC video. No. 9 - Floyd Mayweather, Jr.
Floyd wasn’t always the president of the Money Team. Pictured here alongside his father and Mike Tyson, Mayweather Jr. was spotted in an outfit that wouldn’t look out of place today on someone like Kanye West. Stonewashed jeans? Check. A cozy knit? You already know. And a gold piece around the neck? Timeless. 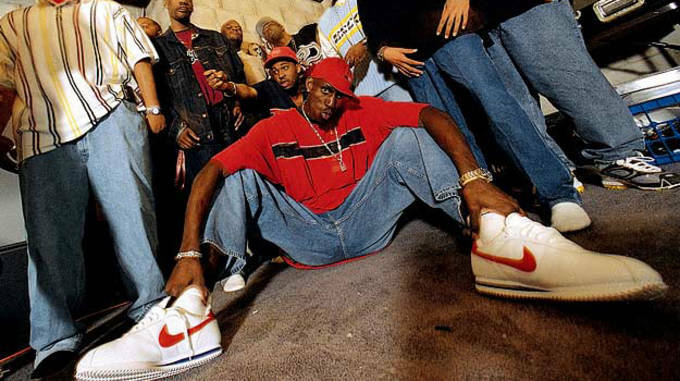 KG came into the NBA straight out of high school, and along with guys like Kobe, Jermaine O’Neal, and Tracy McGrady, his youthful energy helped spark a new era in the league. Pictured here with his crew, Garnett was right on time with late ‘90s hip-hop fashions, right down to the bling around his neck. After his arrival in the NBA, Shaq was quick to make his own lane, getting involved with music, video game, and clothing endorsements. 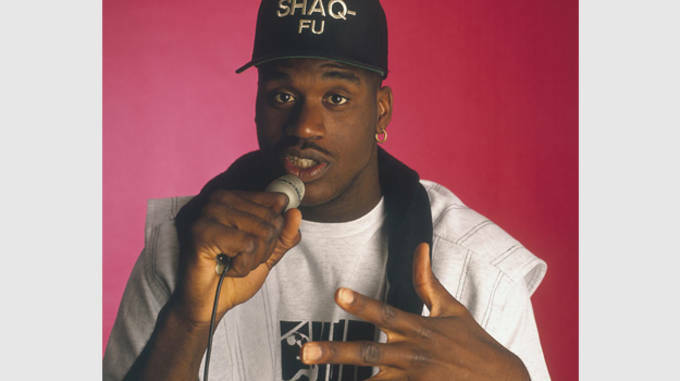 Here, his hoop earrings and Shaq-Fu gear make this photo look like a behind the scenes shot at a ‘90s rap video. 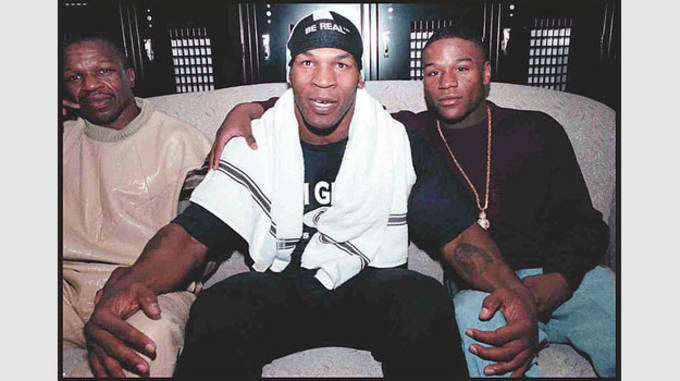 Iron Mike has never been one to play by the rules, and his style follows suit. Get a load of this Mount Rushmore, star-encrused washed denim jacket, paired with a checkered button-up and snapback hat. 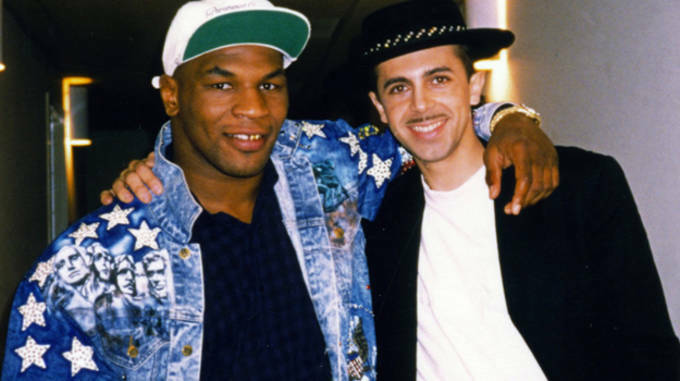 Tyson will undoubtedly wind up on boxing’s Mount Rushmore, but hopefully he won’t wear the jacket next time around. It’s good to be the king, even when you’re a 23 year old on the bench. 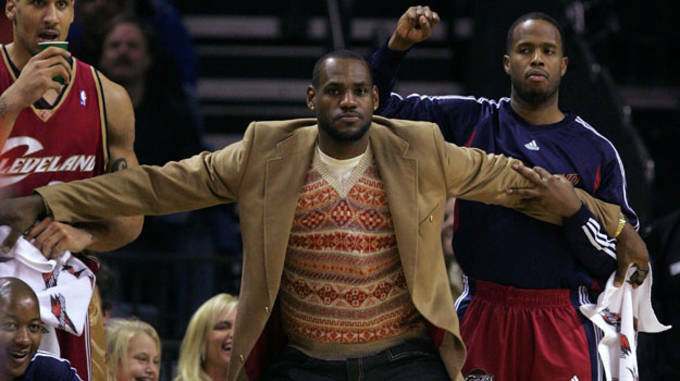 At this point in his career, LeBron had already accumulated honors that some players only dream of, and was swagged out courtside in a sleek Fair Isle knit you probably wish you could track down today. Compared to some of the league’s younger players, Kobe’s current style is pretty subdued. Classic, even. 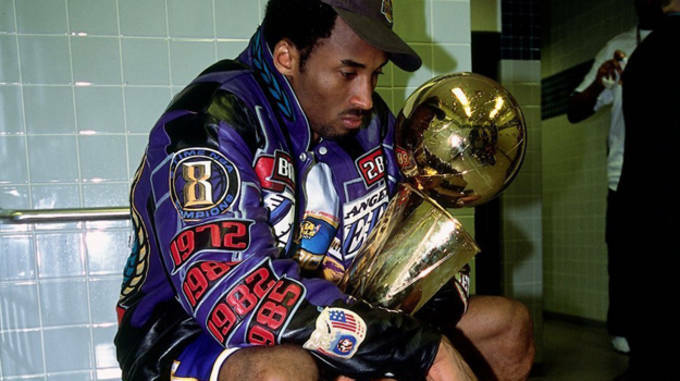 But as a youngster, during his second NBA title win, Bryant went all-out with a customized Jeff Hamilton Lakers leather jacket. We’re all for paying homage, but this is just going too far. Is that a popped collar? On a leather jacket? C&apos;mon, son! Go-to outfit: Khaki suit vest and a white tee. Jeter’s career came to a close earlier this year, but when he was 23, it was just getting started. After winning the AL Rookie of the Year and a World Series ring, it was clear Jeter was going to be a star player for a long time to come. 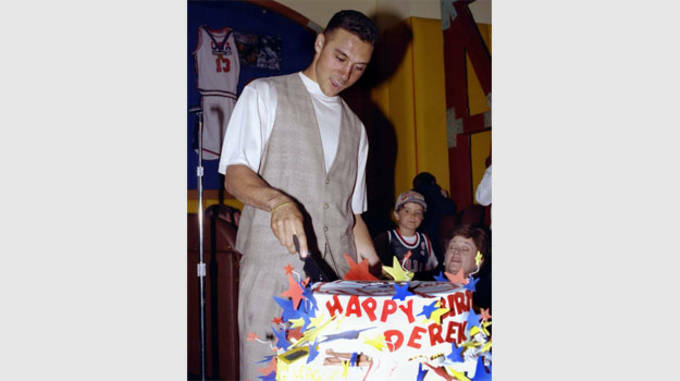 Here, he’s seen cutting a cake at his 23rd birthday, but what is up with that outfit? No matter how old it is, we can’t re2pect this one. CR7 may very well be the greatest footballer alive, but his style has always left a little something to be desired. From 2002-2009, he was known for taking the Euro Trash look to new heights, and in ’08 he went as far as to open his own boutique, complete with rhinestone encrusted hats and belt buckles that would make Ed Hardy jealous. He was also spotted wearing some of the shortest shorts we’ve ever seen whilst recovering from a hip injury. Some things get better with age; fine wine, raw denim, and Tim Duncan, just to name a few. 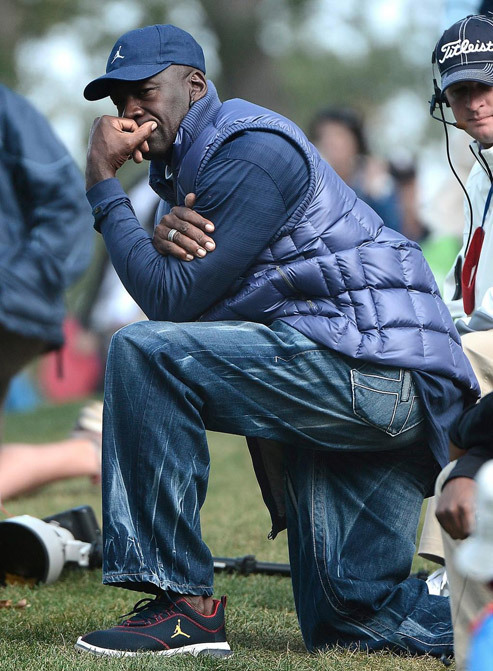 One thing that definitely does not improve over time is Michael Jordan’s sense of style. 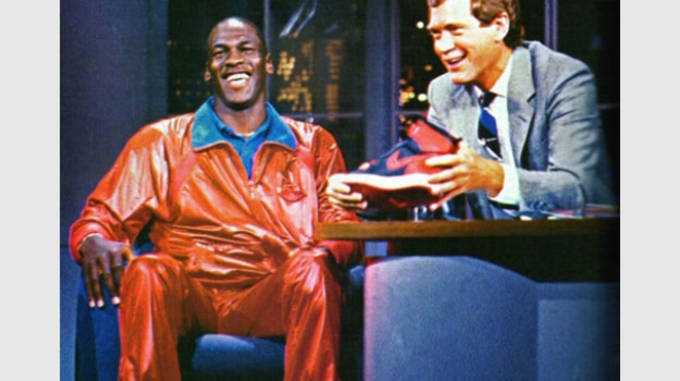 Seen here in 1986, MJ was looking fresh to death in an all red Air Jordan tracksuit. What makes this especially remarkable is that at the time, he was the only player with his own signature apparel. Of course, now he rocks stuff like this, this, and this. Can it be that it was all so simple then?